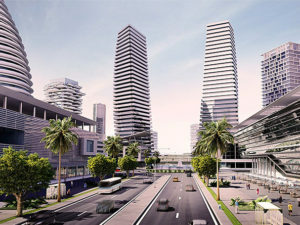 Lagos Nigeria, February 8th 2016 – Eko Atlantic City, one of the world’s most advanced new cities being built adjacent to Victoria Island in Lagos, Nigeria, has announced the on-going construction of its ultra-modern centralized 24/7 water system designed to simultaneously supply phases 1&2 of the city. The water system construction satisfies “stringent international standards for construction of water treatment centers”, supplied by Degrémont, Suez-environment, a reputable company known for its worldwide supply of water treatment equipment. 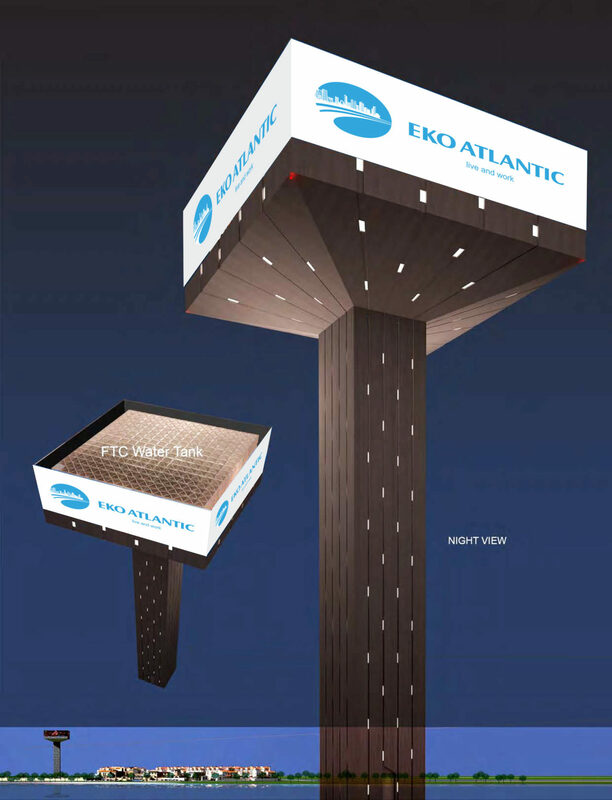 The Eko Atlantic City Water system will extract raw water from deep groundwater aquifers via a borehole providing an estimated initial daily supply of 10,000m3. The daily supply of water will continue to increase as the city grows. To add further protection to the aquifers, the borehole will be lined with stainless steel and cement grouted along its entire length to prevent contamination. The raw water will undergo filtration to remove the impurities and iron from it. The Water System will also disinfect the extracted water before storing it in water reservoirs ready for consumption (WHO guidelines). The water will then be pumped to a 47m high water tower that will supply the entire water network of phases 1 & 2. This will insure a residual pressure in the network of 1.5 bar. 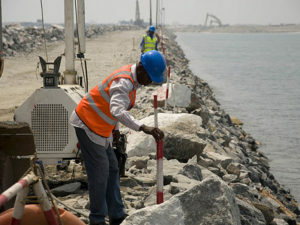 In addition to this distribution network, the developers of Eko Atlantic, as advised by infrastructure consultants, will be providing ground water storage for a minimum of 2 days. This storage capacity will be independent from the required firewater reserve. The systemic treatment technology offers the most ecological and cost effective way to produce public water supply since groundwater is often more convenient and less vulnerable to pollution than surface water. Mr Ronald Chagoury Jr, Vice Chairman of South Energyx Nigeria Limited, a subsidiary of the Chagoury Group, notes that the EAC water system is provided according to the high standards of the World Health Organization by ensuring reliable quality of sustainable water system at Eko Atlantic city. The city will not only boast of adequate power supply and a good road network, but also a water purification and distribution network that produces potable water for its residential and office use,” Mr Ronald Chagoury Jr added. The company also recently announced the completion of all the 14 bridges projected for the city in Phase 1 & 2. In November last year, the city also unveiled the first of the Eko Pearl Towers, a residential building in its Marina District. The commissioning of the Tower which was done by the Lagos State Governor, Akinwunmi Ambode came some months after the commissioning of the city’s Eko Boulevard, Nigeria’s first eight-lane city road. 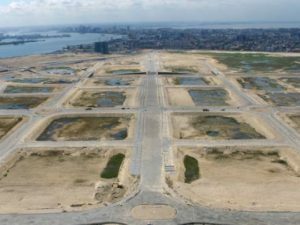 Eko Atlantic is a new coastal city being built on Victoria Island adjacent to Lagos, Nigeria, to solve the chronic shortage of real estate in the world’s fastest-growing megacity. It is a focal point for investors capitalising on rich development growth based on massive demand – and a gateway to emerging markets of the continent.